We are grateful to the City of Vista for the opportunity to install all the windows at the Gloria McClellan Senior Center. Welcome to J&H Glass in Vista California... Since 1957! 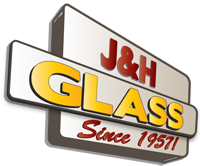 J&H Glass was founded in 1957 and has grown to become the best full service glass installation and repair company in North County San Diego. Our mission is to be the most trustworthy and reliable source for glass products in our area. We take this mission seriously and strive to provide the best solutions and experience possible. What makes us unique from other window and glass installation companies? Professional expertise with many years of experience. Excellent service with skilled technicians. We are experts in all facets of the window and glass business. From standard framed showers to an elegant, heavy frameless style enclosure, J&H Glass offers uncompromising quality plus dedicated personal service. Our 50+ years of experience guarantee that your window replacement, custom mirror or shower installation is precisely measured and fitted by our competent professionals. Customer care and satisfaction are fundamental parts of our commitment to you! We love what we do and look forward to working with you soon!